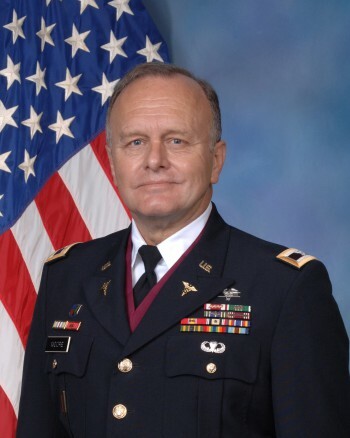 COL Josef Moore serves as the Dean of the Graduate School at the Academy of Health Sciences since its inception in 2007 and serves as a professor for the US Army-Baylor University Doctoral Program in Physical Therapy. 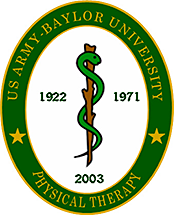 COL Moore's influence upon military physical therapy has been exceptional where he has served as the Program Director, US Army-Baylor University DPT Program and as the Director, US Military-Baylor University Sports Medicine Doctoral Program at West Point. His vision to translate sports medicine care from the playing field to the battlefield is at the core of the Joint Operational Deployment Course and the entry-level DPT course PT 6281, Physical Therapy in Deployed Environments. This vision is grounded in the fact that some casualties and non-surgical orthopaedic injuries will benefit from expert and timely care provided by a military physical therapist within the theater of operations. The wartime role of the military physical therapist is to deploy with US forces, provide excellent physical therapy care that prevents, identifies or treats musculoskeletal injuries, and then to redeploy where the role transitions to care of the combat wounded as military PTs have done since WWI. Provide overview of deployed PTs in past and on-going operations. Provide overview of joint doctrine for operational assignments. Provide latest update on competencies needed to perform orthopaedic triage. Provide latest update on competencies needed to evaluate and manage musculoskeletal and neurological injuries while deployed. Provide latest update on competencies needed to evaluate and manage burns and open wounds while deployed. Provide latest update on necessary manual therapy skill set for deployments. Provide methods of assessing practice outcomes, to include standardized software templates. Participants will be licensed active or reserve component physical therapists. Active or reserve component participants who are projected to deploy within the next 12-18 months will be given priority. ROTC and direct accessions and those rotating to OCONUS also have priority.